Get your new automated driveway gate system or automate an existing gate! We provide continued maintenance on your gate. Call our emergency phone and expect an immediate response! Tri State Gate is a BBB-accredited, A+ rated business with more than 25 years' experience serving residential and industrial properties in five states. 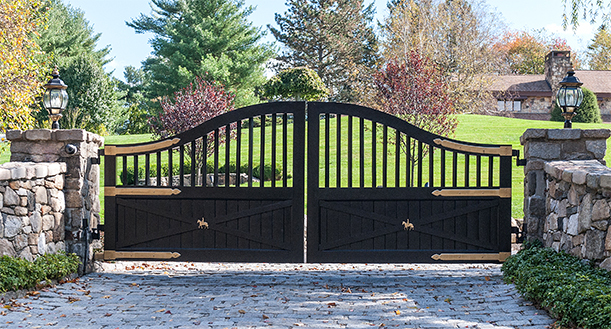 We're based in Bedford Hills, New York, and we serve residential and industrial driveway gate customers throughout New York, Connecticut, New Jersey, Vermont, and Massachusetts. Contact us to experience the Tri State Gate difference. We also automate existing gates and repair entrance gates for homes and businesses, whether we originally installed it or not. As a professional driveway gate installation company with more than two decades of experience, we're highly skilled in designing, installing, and repairing entrance gates of all types. Our gates are completely custom designed to suit your exact specifications. Our residential gates offer homeowners a vast selection of style and designs that mesh well with the overall aesthetic of your home. You want a gate that not only provides security, but also adds to your home's curb appeal. Our corporate gates can be customized to provide varying levels of security to keep your company safe. Whether you need a simple automatic gate or a high-security entrance, we have something to meet your exacting standards. We have worked with a wide range of clients, from residential communities, to corporations, to government agencies, providing top-notch service to each one. Our driveway gates are suitable for any environment. Learn more about our full line of driveway gates services, check out our photo galleries of previous projects, and read testimonials and reviews from our satisfied customers. Tri State Gate is also proud to have an A+ Better Business Bureau rating. Ready to learn more? Give us a call at 914-244-0018, or email us at info@tristategate.com. We’ve served over 1,500 highly satisfied customers who have given us a near-100% approval rating. Perhaps you’ve heard of a few of them: Tri State Gate has worked on automated gates for the FBI, the Secret Service, and the Department of Homeland Security. We’ve earned their trust. We hope you’ll give us a chance to earn yours. At Tri State Gate, we don’t cut corners. Whether its durable wood, classic wrought iron, or low-maintenance composite, we only use the finest materials to design and install your security gates and fences. 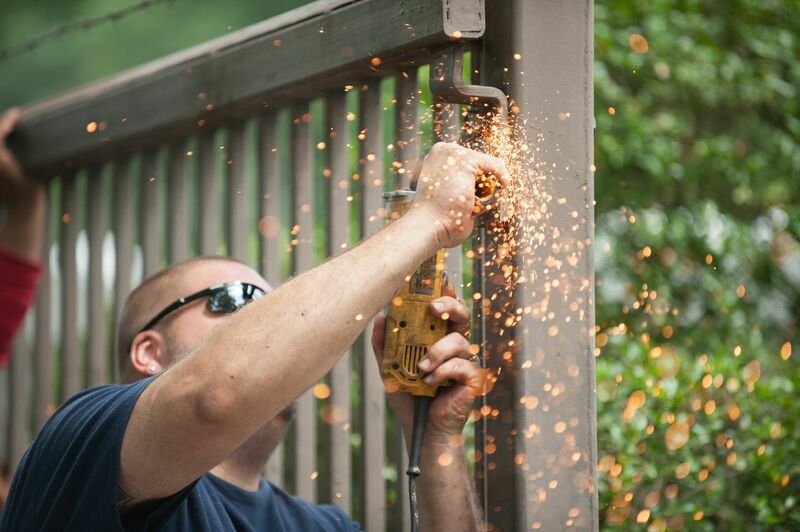 Our technicians use a proven process you can trust to craft gorgeous, headache-free gates which will protect you while offering beauty and personalization to any location. Each of our proprietary automation and security systems is customized to suit the demands of both your property and your personal tastes. You give us the vision, we bring the skill. Electric driveway gates are about more than aesthetics. They’re about the peace of mind which comes from knowing your property is protected and safe. 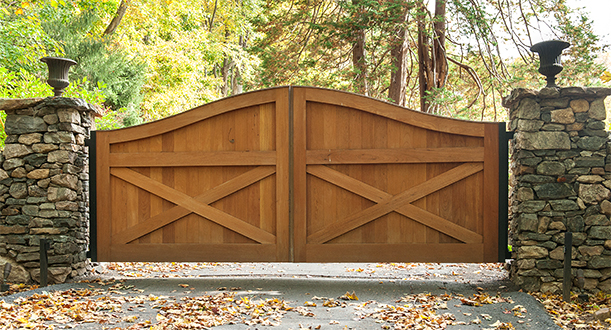 Our technical acumen of driveway gate equipment gives us an extensive knowledge of telephone entry systems, intercoms, keypads, remote controls, and card reader entry technology, which means you can count on our gates to operate smoothly and efficiently for years to come. Need repairs on your automated entry gate? Our professional technicians are true solution finders. Imagine working with a knowledgeable team that makes life easier for you, and is able to troubleshoot even the most challenging problems with any make, model, or gate style, whether we originally installed the gate or not. We pride ourselves in beautifully crafted, meticulously maintained gates and outstanding customer service. That's the Tri State Gate difference. At Tri State Gate, your satisfaction is our only priority. We never rest until you’re satisfied, and we stand behind the work we do. If something goes wrong, we want to be the first people you call, because we’re ready to do whatever it takes to make it right. Read Tri State Gate's testimonials and reviews to see what our customers have to say. Call (914) 244-0018 or contact us to schedule a free on-site estimate today. Copyright © 2014 - 2019 Tri State Gate LLC.